Violet Bates, 82, of Lakeshore Road in Grafton, died June 10, 2003 under hospice care at Heritage Nursing and Rehabilitation Center In Port Washington. She was born on December 16, 1920 at Waukegan, Illinois to William and Petronella Sable Teunas who had immigrated to the USA early in the 20th Century from Lithuania. She was the fourth child of five children in the family. Vi married Earl N. Bates, a young rail road worker, in June of 1940 by eloping to Dubuque, Iowa. Dubuque was, at that time, well known for quick marriages. Except for a period during WWII her work was in the home. She became an expert seamstress making clothes for her children and doing other sewing. Starting in the 1950’s, she and her husband were foster parents to numerous young children while living in Kenosha and later in Milwaukee. Many of their foster children have continued after becoming adults to visit Vi and Earl. The couple also lived in Illinois and more recently in Oxford, Wisconsin. In the late 1990’s they moved to Port Washington to be closer to their children. During their life together she and her husband became well known crafters, selling and exhibiting around Central Wisconsin and Iowa. One year they where chosen to be featured artists at Milwaukee’s Pabst Mansion Christmas Show. She enjoyed the outdoors, golfing, and gardening. She delighted in searching for mushrooms, identifying them and cooking up the ones that were safe to eat. She is survived by her husband and two children, Catherine Cowan (husband Todd), Prescott, Arizona, and Fred Bates (wife Kathleen) of the Town of Grafton. 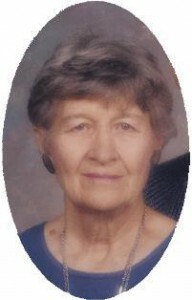 She is also survived by one grandchild, Thatcher Bohrman (wife Meg) of Prescott Arizona, and three great grandchildren. She is preceded in death by 3 brothers and 1 sister. A Private Celebration of Vi’s life was held.